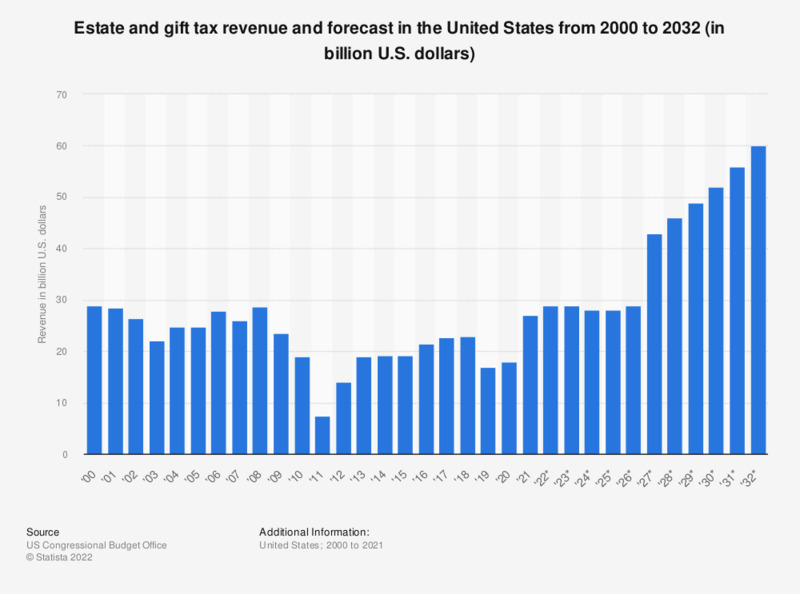 The statistic shows the estate and gift tax revenue from 2000 to 2017 with an additional forecast from 2018 to 2028. Revenue from estate and gift tax amounted to 23 billion U.S. dollars in 2017. The forecast predicts an increase in estate and gift tax revenue up to 40 billion U.S. dollars in 2028. * The data for 2018 to 2028 are projections.